Loved this photo when I came across it on FFFFOUND! (via aspire to enquire). Unfortunately, I can't locate the original, but it's a brilliant landscape regardless of the "why?" or "how?" Taking inspiration from these painted fields, I pulled together the pieces below. 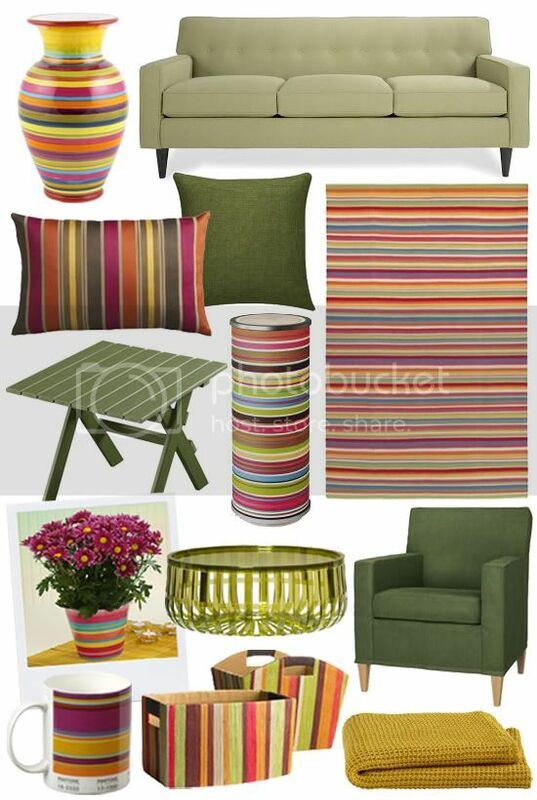 Bright, multicolor stripes paired with less dramatic solids make for an interesting combo in the home. That looks like Holland- tulips? Very very pretty! 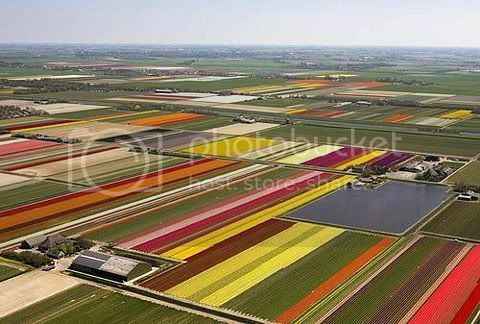 they are dutch tulips! the photo is from the daily mail. i don't know why, but it won't let me paste the website address in the comment box. Sidenote: maybe I'll have to re-do this post one day using tulips as an inspiration instead!